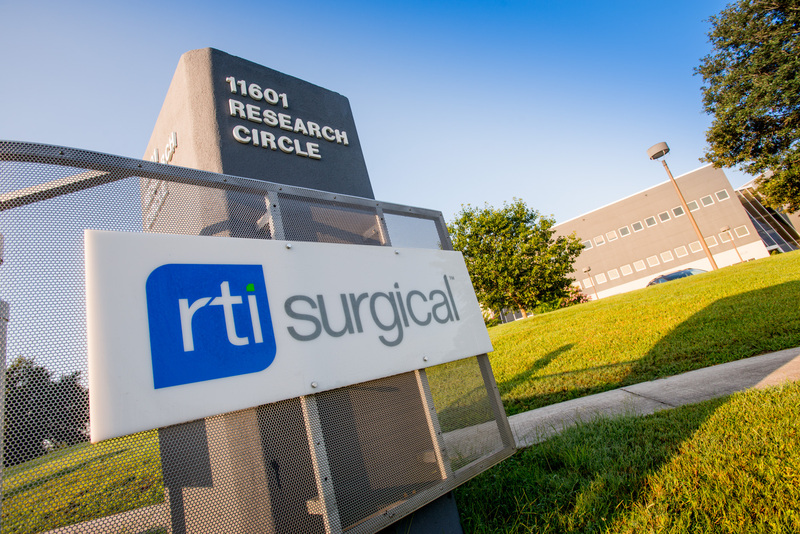 RTI Surgical® Announces CEO Brian Hutchison to Retire - RTI Surgical Holdings, Inc.
ALACHUA, Fla. August 15, 2016 – RTI Surgical Inc. (“RTI” or “the company”) (Nasdaq: RTIX), a leading global surgical implant company, today announced that Brian K. Hutchison has informed the RTI board of directors that he has decided to retire from his position as president and chief executive officer and step down from the board of directors. Hutchison has agreed to remain in his current roles to assist the RTI board and management team with an orderly transition to a new leader. RTI’s board is commencing a search for the chief executive officer position. Hutchison joined RTI as president and CEO on Dec. 5, 2001, and oversaw its growth from a small tissue bank in Florida to a leading global player in biologics-based implants. Over the past 15 years, the company has expanded its product portfolio significantly from a few allograft implants used in spinal and orthopedic applications to a multifaceted portfolio of biologic, metals and synthetic products used in a wide array of surgical applications. Through organic growth as well as the acquisitions of Tutogen Medical Inc. in 2008 and Pioneer Surgical Technology in 2013, RTI is now positioned as a solid and respected leader in the donation community and as a well-known innovator of safe, high quality surgical implants to surgeons around the globe. Today, RTI has more than 1,100 employees and four manufacturing facilities dedicated to helping patients worldwide.